Managers in Fantasy Premier League have been quick to react to West Ham United's third successive victory. 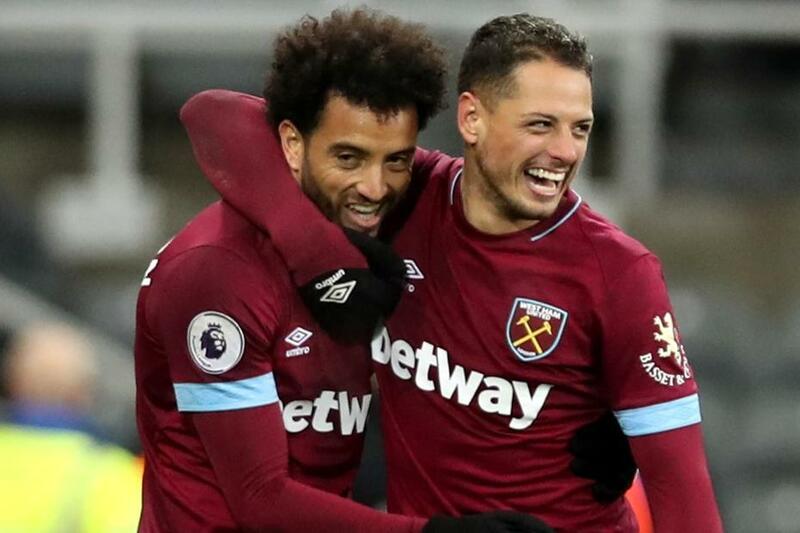 Felipe Anderson (£7.3m) and Chicharito (£6.3m) are both big targets for Gameweek 17 after each produced a goal and an assist in Saturday's 3-2 win over Crystal Palace. Bought by over 159,000 managers for the Palace match, Anderson has been snapped up by a further 82,000 for Saturday's trip across London to Fulham. The Brazilian has five goals and an assist in the last six Gameweeks, compared with only one goal and an assist beforehand. Chicharito's recent return to the teamsheet in Gameweek 14 has sparked a turnaround in form. The Mexican has three goals and an assist in his last three matches, earning more than 56,000 new owners for Gameweek 17. Notably, Manuel Pellegrini's side overcame the loss of the injured Marko Arnautovic (£7.0m) to score three goals for the third successive fixture. Along with Anderson and Chicharito, Robert Snodgrass (£5.3m) has been another key figure. The cut-price midfielder has one goal, three assists and 24 points in the last three Gameweeks. Yet he is in less than one per cent of squads. West Ham's upcoming schedule points to more success for their in-form attack. Four of their next five opponents score only two in the Fixture Difficulty Rankings (FDR). That grants Pellegrini's men the chance to extend their run of form and offer strong value over the winter period. Mark (@FPLGeneral): I'll be moving Arnautovic on this week in a double move that could bring Anderson into my midfield. He's the real deal. Son Heung-min (£8.5m) is fighting for that spot in my squad too. Lee Bonfield (@FPLFamily): Anderson's the obvious choice but if, like me, you're pretty happy with your midfield five, Lucas Perez (£6.2m) or Chicharito should be on your forwards' radar. I'm eyeing up a move from Danny Ings (£5.4m) to the Mexican this weekend. Simon March (@MarchSimon): With so many goals being scored, it's easy to overlook West Ham's key defensive asset, Lukasz Fabianski (£4.6m). Despite keeping only two clean sheets, he is still averaging 3.9 points a match. Fabianski's record of 62 saves, second only to the 70 of Joe Hart (£4.5m), means he ticks over save points even when West Ham concede. The upcoming fixtures could make him a "set and forget" option. Ben Crabtree (@FC_CrabDogg): Anderson looks great for form and minutes and Snodgrass's price makes him an option for some but I won't be getting either. At the back, Fabianski's save-point potential makes him the standout pick. Sam Bonfield (@FPLFamily): Having owned Anderson for five weeks, I am a very happy FPL manager. The fixtures could even allow a West Ham double-up with Chicharito but, for me, it's hard to overlook Harry Kane (£12.5m) and Pierre-Emerick Aubameyang (£11.5m) due to the schedules for Tottenham Hotspur and Arsenal.